From passport, paperwork to immigration. Entering a new country for the first time can be daunting and especially if you are visiting a country when you need to apply for a visa. Visa processes have been improved over the last few years, countries are keen to improve upon tourism and ensure visitors can enter their country in an easy and efficient way. The visa application process for Vietnam is a very straightforward process, however, there are always ways you can ensure you follow the right procedure and be aware of the initial entry requirements. We have put together a list of initial entry requirements it is worth keeping in mind before you travel to Vietnam. Vietnam is a country of diverse people, incredible history and impressive architecture, so making sure your initial visa application process runs smoothly will mean you can look forward to your holiday. 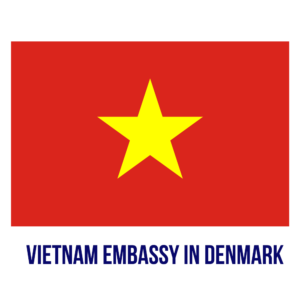 If you have any further questions on entering Vietnam or the visa application process, please do get in touch. Your passport will should be valid for a minimum of 6 months on the date you enter Vietnam for you to be able to apply for a 15 day tourist visa. My passport is damaged, will I still be allowed to enter Vietnam? Please ensure your passport is in good condition. Many people have been denied access to Vietnam if officials are unable to clearly read and process your passport. Do I need to apply for any medical certificates to enter Vietnam? Always check with your local health department to see if there are any medical certificates needed at the time you plan to visit. If you have travelled from another country, other than your own, prior to visiting Vietnam you may need to check what the entry requirements are. Do I need to obtain a vaccine to enter Vietnam? It is not a legal requirement to obtain a vaccine, however, we do recommend you check with your local health authority or embassy to see what the advice is. For example, for visitors from the UK the advice is to obtain a Diptheria & Polio vaccine, which are typically given in one injection. Can I use my phone or internet within the airport terminals? Yes. However, please be aware there are restrictions on internet usage throughout Vietnam and you will need to ensure your local phone provider is aware you are travelling and you have purchased the correct phone package. How do I apply for my visa to enter Vietnam? Please visit our page Frequently asked questions for full details on how to apply for your visa to enter Vietnam.